RESIDENT COLOR & CHEMICAL EXPERT...for over 30 years, Orlando has trained hundreds of salon professional (under a major color company and in his own salon) on the proper use of color, color correction, formulation, highlighting, straightening ... a free consultation with him, regardless of who is doing your chemical service, will be invaluable. He also instructs on various hair straightening techniques and thoroughly understands the pros/cons/pitfalls of those services. 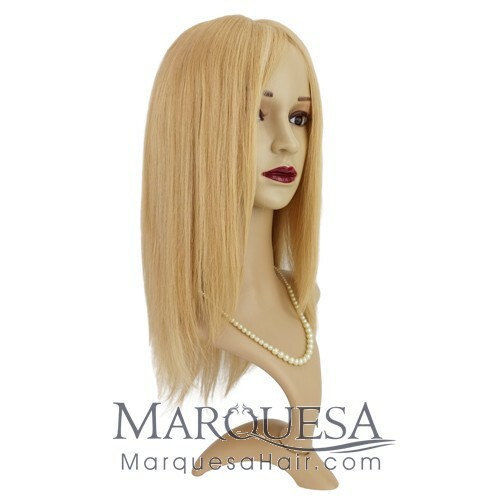 Select from dozens of possible combinations: Lace Front, Full Lace, Silk Top, Swiss or French Lace, Hand Tied, Wefted, Monofilament, ClipOns, Glueless, Hair Textures, Hair Length, Hair Color and/or Highlights, Human or Synthetic Fibers, Lace Colors, Hair Density, Hair Styles, Baby Hair Perimeter, Knot type, Hair Line Type, etc. 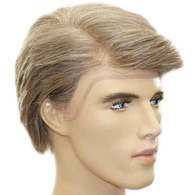 * Offer guidance regarding the importance selecting appropiate Hair Density to arrive at the most natural look. 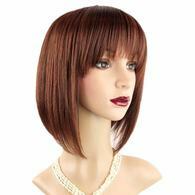 * Excellent Quality Synthetic Wigs that look and feel real. * A Professionally Trained & Licensed Consultant to review all your options. 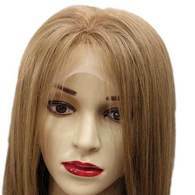 *** PLEASE NOTE: All custom made WIG SALES ARE FINAL AND CAN NOT be exchanged or returned; Wigs or hair items that have been washed, cut, colored, tampered with, altered or the lace has been cut CAN NOT be exchanged or returned. 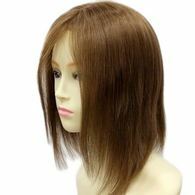 Also, for hygienic reasons, returns or exchanges are not allowed if the wig or hair piece has been worn or no longer has a tag. CALL to schedule your consultation appointment. 305-444-4414 . 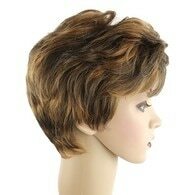 Walk-In consultation, without an appointment is possible, but may be difficult if the wig specialist is working with another client. A specialist must work with you in order to try on hair pieces or wigs and we strive to provide each client with a private space without the interference of others. There are also many more options than are on display and a specialist should review the various options for your condition or need. Miami Beach, West Miami, Kendall, The Roads, & MIA Airport. By Appt only to insure privacy and minimize interruptions. a handful of Sundays that fall on holidays. Consultations conducted in a private and confidential manner one-on-one. 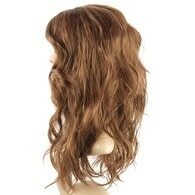 HAIR -- highest quality custom manufactured hair extensions, hair pieces, pony tails, wigs, half wigs, toppers, closures -- all using the highest quality remi hair, safest application methods, and techniques that will not damage your existing hair and hair follicles. 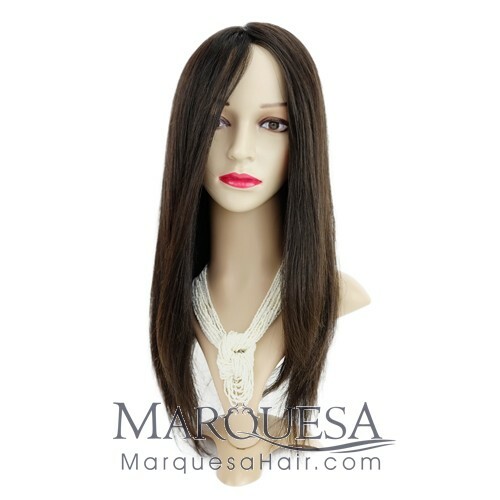 Many hair manufacturers and suppliers with large marketing budgets do not necessarily carry the best quality Remy Hair available in the market. We go source and manufacture our own hair that meets our specification. We encourage you to visit our salon to feel and see the difference for yourself so that you can compare hair from leading suppliers. *Prices and offers are subject to change at any time. *Listed prices apply to the vast majority of our clients; however, services on some clients may require extra time beyond what is typically allocated for that service, thus their price may be higher than the average listed price. 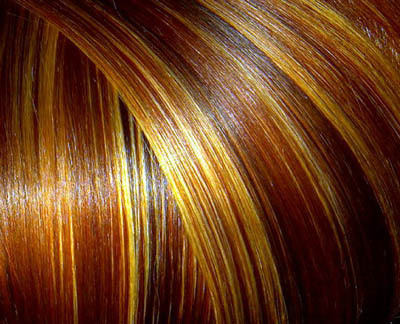 *Prices on hair service may vary depending on the service provider; for example, the lead colorist price may be higher than that of another service provider. Upon request, our staff will gladly provide you with a price quote prior to commencing any service. THANK YOU for your interest. We carry the highest premium hair that is manufactured to our specifications from the factory direct AND now available to you at wholesale prices . 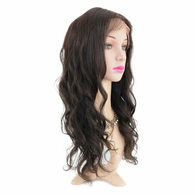 There are several important factors in obtaining the best remy hair. Minimal processing and handling are key in making remi hair soft, beautiful, silky, and tangle-free. 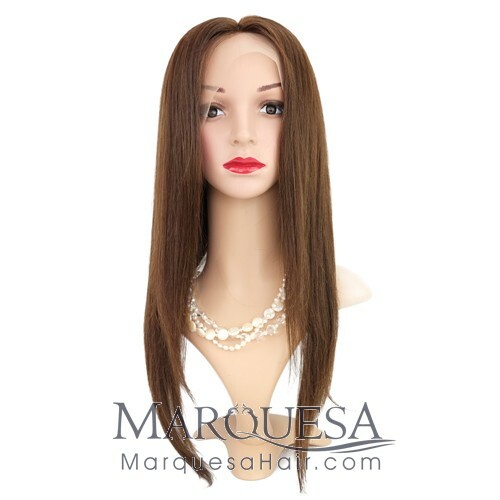 The best remy hair has been obtained from a single donor and is in full length strands (from the roots to the end) and all the cuticles run in the same direction as well. Virgin hair means that the hair has not been chemically treated; Remy means that the natural cuticle (direction) remains intact. Add volume, length, texture, and/or color to your hair. With the latest methods and systems in the industry, we are able to achieve outstanding results. We are highly dedicated to personalize each application to custom fit your unique personality and lifestyle. Our salon is focused on continually educating ourselves with the latest techniques and methods to ensure you get an outstanding quality of service. 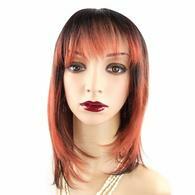 Glueless custom wigs allow your head to stay cooler than solid capped wigs because it is made with less hair and the construction allows more airflow to the head and scalp. 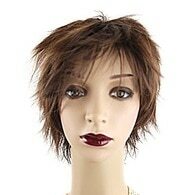 Most have an adjustable straps and/or a clamp at the nape of the neck to secure the wig in place. There are several factors effecting the results of any chemical service, but the most important factor in determining excellent results is the consultation and the expertise of the service provider. Wherever you go, always insist on a professional consultation addressing your chemical history, health issues, lifestyle, expectations, etc. FINAL and CAN NOT be exchanged or returned.